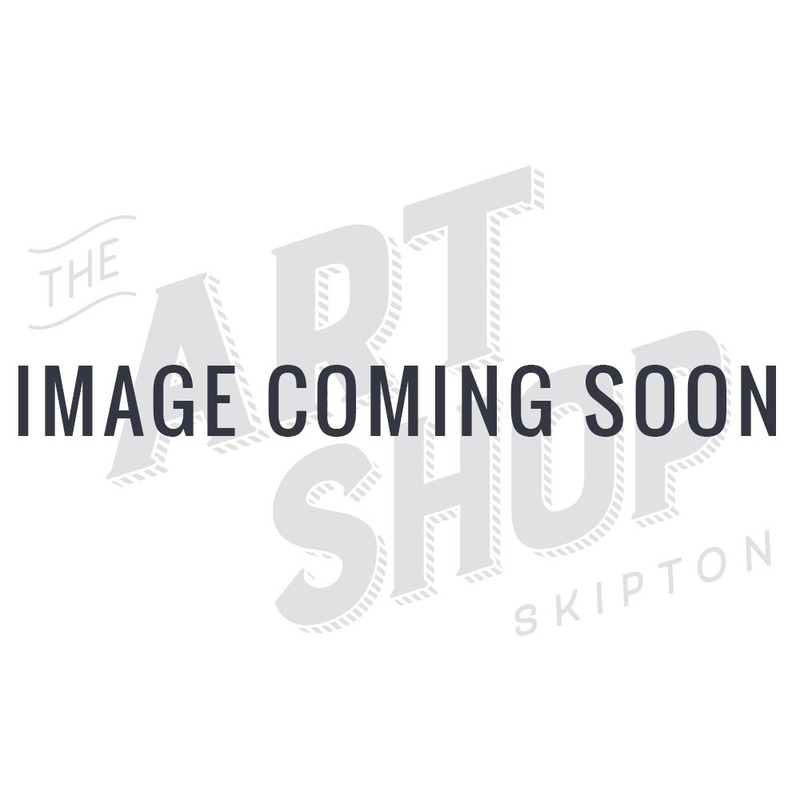 A tin set of 36 professional quality colour pencils from the Derwent Artists range. Derwent Artists Pencils have been the choice of professional artists since 1938. Artists Pencils have a highly pigmented core which create a smooth and rich colour laydown. The larger core is ideal for creating broad, expressive strokes, while the strong point can sustain layering and blending techniques. Artists Pencils are ideal for a wide range of drawing styles, from bold landscapes through to more detailed illustrations. 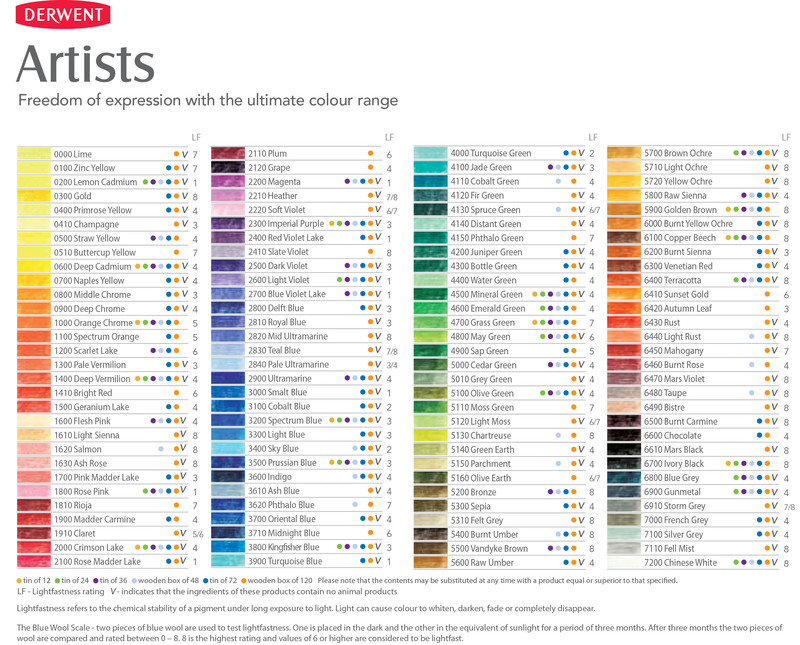 The complete range consists of 126 colours. Colours Included: Lemon Cadmium, Straw Yellow, Deep Cadmium, Orange Chrome, Scarlet Lake, Deep Vermilion, Flesh Pink, Rose Pink, Crimson Lake, Magenta, Imperial Purple, Dark Violet, Light Violet, Blue Violet, Ultramarine, Spectrum Blue, Prussian Blue, Kingfisher Blue, Jade Green, Mineral Green, Emerald Green, Grass Green, May Green, Cedar Green, Olive Green, Bronze, Vandyke Brown, Brown Ochre, Raw Sienna, Golden Brown, copper Beech, Terracotta, Ivory Black, Blue Grey, Gunmetal and Chinese White.